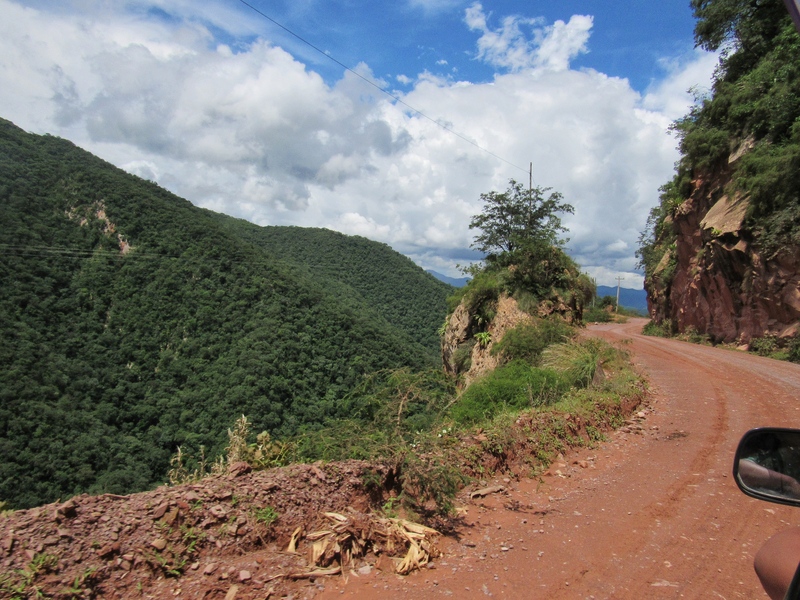 The express service from Villamontes to Tarija wasn’t really as bad as we’d heard it might be. It was very uncomfortably squashy though, in a 6x seater van with six adults, four medium sized children and piles of freight (both inside and outside). There were a few scary moments but not because we were travelling on a skinny dirt road on the edge of a very high precipice in the rain but because our driver was a crazy boy racer. No wonder there are so many vehicles at the bottom. He beeped his horn going around corners to let others know we were coming but he didn’t slow down, then he tailgated anything in his way and passed them on either side. I suppose it was all worth it in the end as we made the six hour journey in five and a half. So that’s what ‘express’ means in Bolivia. 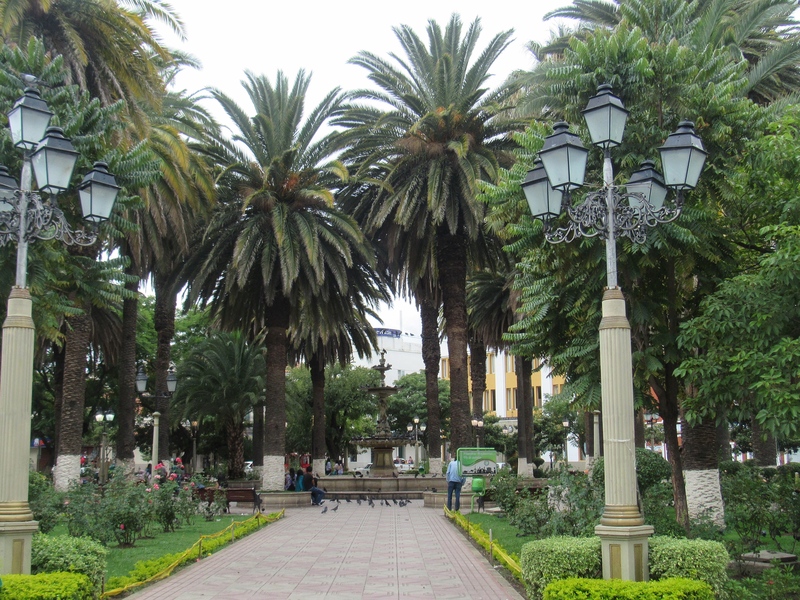 We love Tarija! It’s a great old country town/small city that dates from the 1500s, nestled in amongst the mountains in the foothills of the Andes. 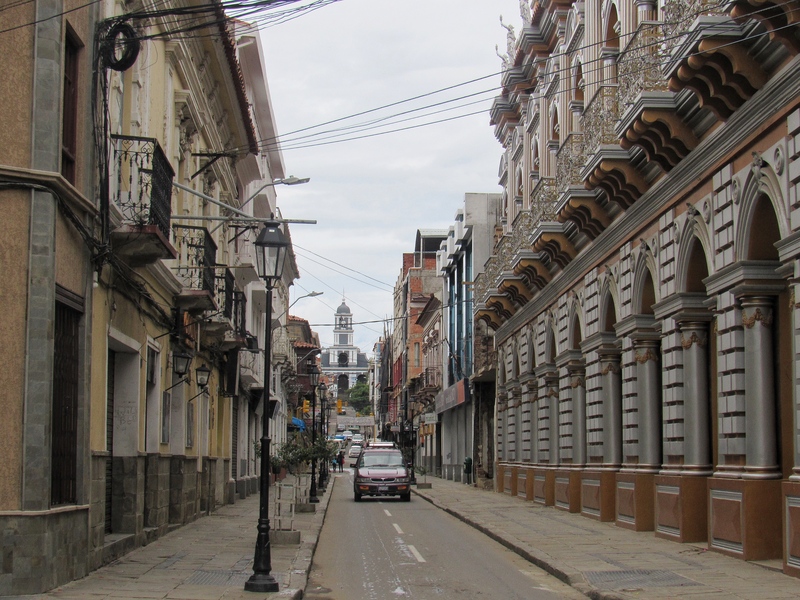 Like almost all South American towns, it has a central square (Plaza de Armas) surrounded by streets of colourful, crowded markets and a few beautiful old buildings. It’s a wonderfully relaxed feeling to sit at each of the cafes around the square in turn, drinking coffee and/or beer and people watching. There’s always something going on – music, dancing, stalls, performers, and the occasional friendly local, beggar or seller of interesting things stopping at our table. We buy quite a few things we don’t really need or want but what the heck. Everyone who can is selling something and the few beggars are all old and/or disabled and we’re happy to give. There’s a subtle difference about the whole scene to similar contexts I’ve witnessed in other countries. It all feels so calm, relaxed and mutually respectful. Although it breaks our hearts to see really old women lugging around their wares for sale and there are obviously many people here way below the poverty line who are doing and selling anything they can just to get by, everyone seems able to maintain their self-respect, to share, to smile, to be polite and to remain authentic. There is no hassling, no stories, no pretence. Perhaps because of this (and vice-versa) most people seem to give a little. We arrived in Tarija on Carnaval weekend. 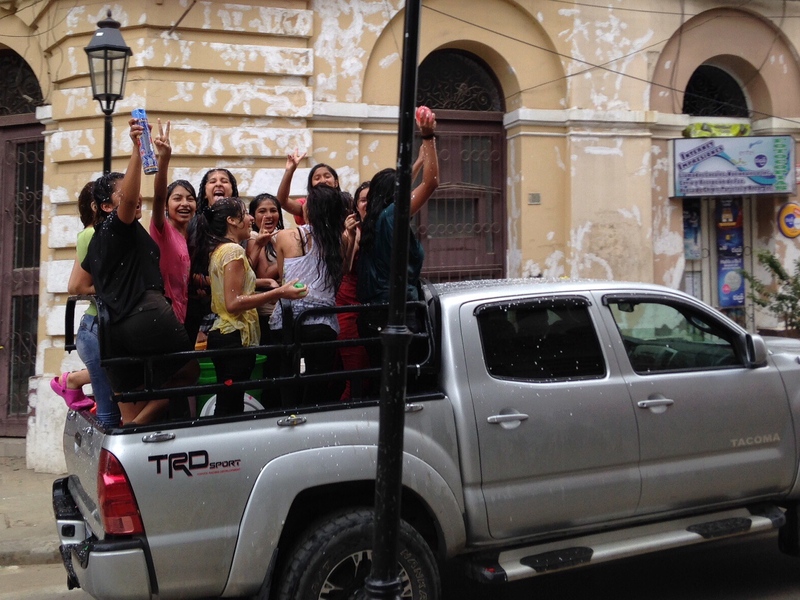 The tradition in Bolivia on Carnaval Sunday is to have a church thing in the morning and a mass water fight in the afternoon. Sitting at the square we watched cars drive around and around, blaring loud music, spraying everyone on the streets with giant water pistols and throwing water bombs and buckets of water from the back of small trucks (utes). Their joy was infectious. This continued all over town until Wednesday when everyone finally went back to work. JH was all nimble feet, so managed to avoid the deluge most of the time but I got perpetually drenched every time I walked down the street. It’s so surprisingly hot and humid here that it was actually quite pleasant. 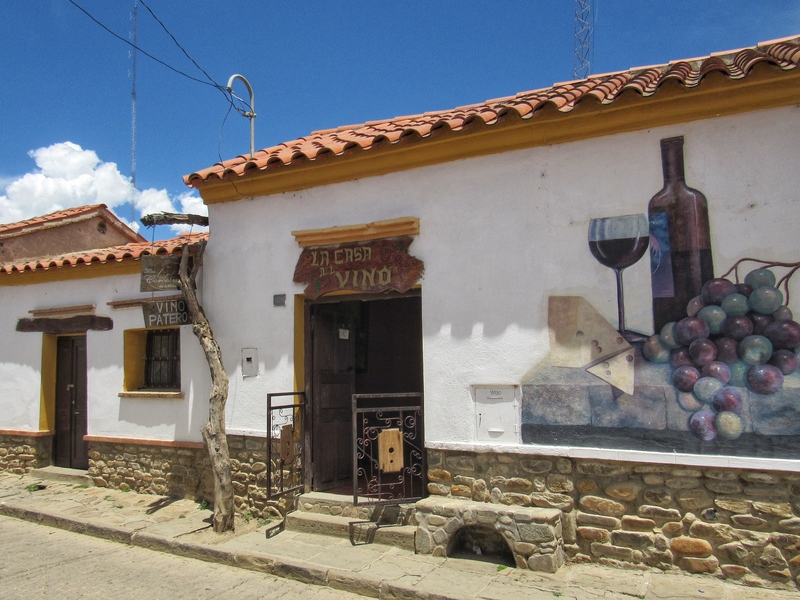 Tarija is a wine-growing region and is surrounded by orchards and vineyards. We went wine tasting in a pretty nearby village that has many small artisanal bodegas. The wines are all really sweet, which is usually horrible, but these were delicious. Every part of the process is still done by hand which seems to make an enormous difference to the quality and taste. I think we should plant some grapes. There’s a serene lake on the edge of town which I think is actually a hydro-electric dam, with brightly coloured rowboats. It looks gorgeous with the mountains as a backdrop. I was told its main purpose is for agricultural irrigation. Sadly, tap water in Bolivia is supposed to be not safe to drink or clean your teeth in due to a combination of sewerage, industry contamination and parasites. We’ve been either buying or filtering it. It’s funny how many times you forget and start cleaning your teeth from the tap, only to start swearing with your mouth full and desperately trying to rinse out all the ‘bad’ water. 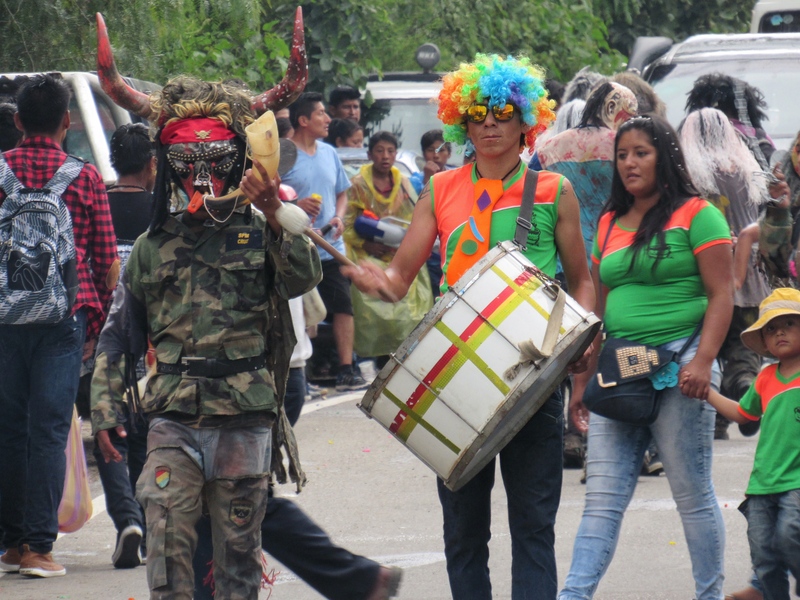 Tarija’s version of Carnaval – Carnaval Chapaco – is a kind of spontaneous eruption of local celebrations with a traditional, country folk style. People wear traditional costumes, eat traditional food, play and dance to traditional music and drink a lot of alcohol. They also throw gallons of water at each other and spray each other with cans of foam. It’s bubbling with happiness, colour and fun. 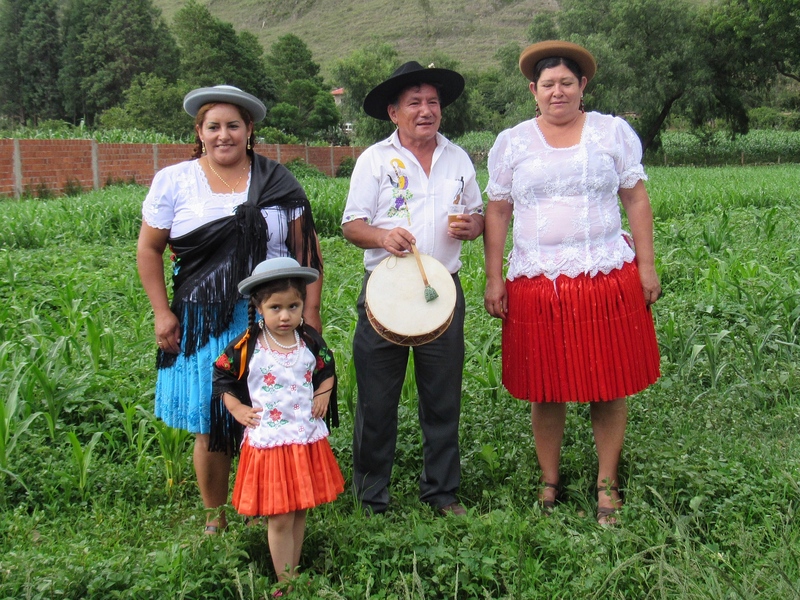 We had Carnaval lunch with this lovely family in one of the villages. Now the Carnaval is over and it’s time to move on. 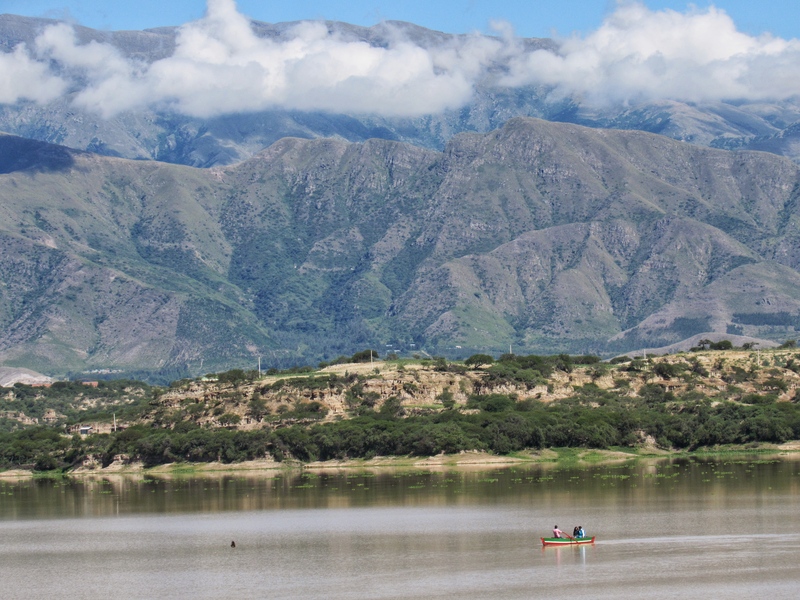 It would be so easy to stay here in Tarija for a lot longer. Due to road blockades and then holidays, a fair amount of time seems to have pleasantly slipped by in the south of Bolivia. It’s with a sense of time (and money) starting to run low that we’ve reluctantly decided to fly directly to La Paz rather than go overland. I hope we don’t get altitude sickness. We’re only at just under 2000m elevation here and my ears are occasionally popping. Apparently La Paz airport is at 4100m. The official advice is to drink Coca Leaf Tea immediately on arrival. Ok then. This entry was posted in Bolivia stories, South America and tagged adventure, Bolivia, carnaval, carnaval Chapaco, carnival, south america, Tarija, Travel. Bookmark the permalink.